Fraser River Pile and Dredge (GP) Inc. recently pleaded guilty to the Fisheries Act violation in British Columbia provincial court. The court fined the company $350,000. The fine was a result of one of the company’s dredging causing the depositing a deleterious substance into water frequented by fish – the Fraser River. The conviction stems from an incident that occurred on the Fraser River in February 2014. During that time, the company was dredging in Deas Slough in the Fraser River when its vessel punctured a submerged water main carrying chlorinated water to the City of Delta. 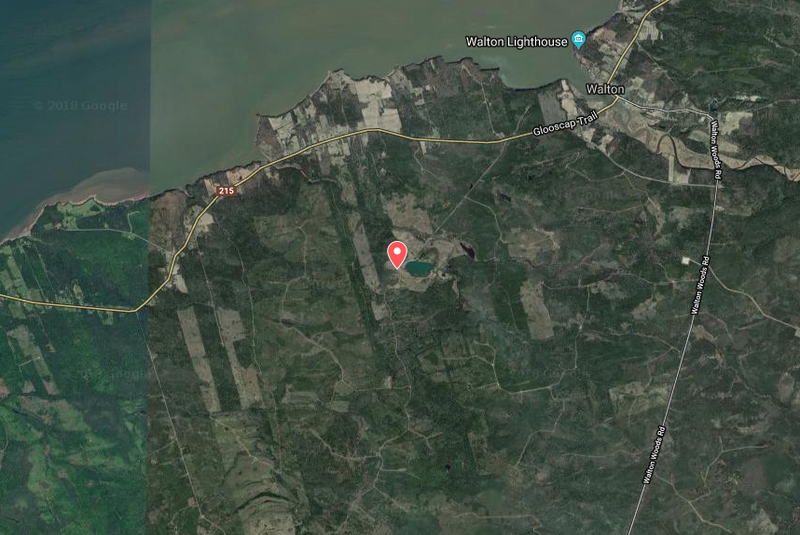 Enforcement officers from Environment Canada and Climate Change (ECCC) investigated the incident and determined that chlorinated water was released through the pipe into the waterway. ECCC charged the company with the Fisheries Act violation as Deas Slough is an important fish-bearing body of water and the concentration of chlorine that was released was damaging to fish. 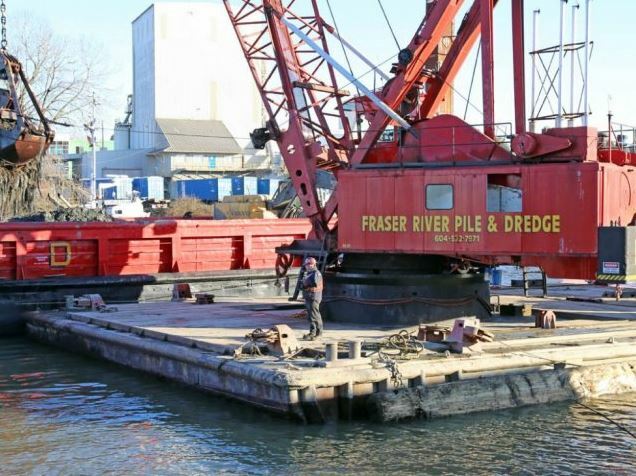 Fraser River Pile & Dredge (GP) Inc. (FRPD) is Canada’s largest Marine & Infrastructure, Land Foundations and Dredging contractor. FRPD’s fleet includes cutter suction and trailing suction hopper dredges, spud barges, cranes, dump scows, and flat scows. The company performs all types and sizes of marine & infrastructure, environmental remediation, dredging and land foundations projects. The $350,000 collected from the company by the government will be directed to the Government of Canada’s Environmental Damages Fund. Also, the company’s name will be added to an Candian environmental offenders registry. Stephen Harold Arkell, an environmental consultant and owner of CR Consulting in Markham, was recently convicted on three violations under the Ontario Environmental Protection Act and was fined $22,500 plus a victim fine surcharge of $5,625 with 18 months to pay the fine. As part of the conviction an 18 month Probation Order was issued by the court. 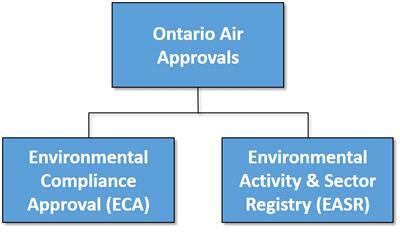 The convictions relate to submitting false information electronically to the Ontario Environment Ministry’s Environmental Activity and Sector Registry. 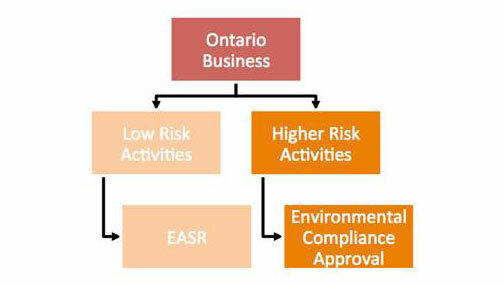 Stephen Harold Arkell has an office in Markham and during the time of the violations, provided consulting services by preparing environmental application submissions for the purpose of obtaining Ontario Environment Ministry approvals and registering on the Environmental Activity Sector Registry. Mr. Arkell is not and has never been a licenced engineering practitioner. Before conducting an activity that may discharge contaminants into the natural environment (other than water) legislation requires that the business or individual obtain a ministry approval or register on the Environmental Activity and Sector Registry. A licenced engineer is needed to complete these requirements. During the period, Mr. Arkell prepared and submitted registrations to the Environmental Activity and Sector Registry on behalf of clients engaged in activities that required a registration due to their potential to emit contaminant(s) to the air. In all cases, the registrations that Mr. Arkell prepared and submitted indicated that the required documents had been prepared by an engineer and also indicated an engineer licence number. However, this information was false. By committing these offences, Mr. Arkell impacted the registrations of three separate companies between July 2017 and January 2018. The ministry’s Investigations and Enforcement Branch investigated and laid charges resulting in three convictions. Mr. Arkell’s LinkedIn indicates that he has been the owner of CR Consulting since 2010. It states that his company prepares air emission applications for industries who are required to register with the Ministry of the Environment for Certificates of Approval (air). As part of the application process, the company prepares Emission Summary and Dispersion Modeling reports. 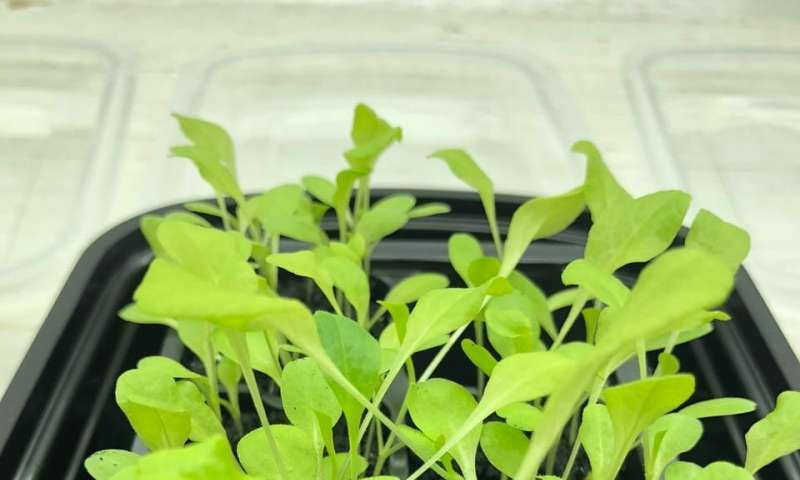 Terra International (Canada) Inc., was recently was convicted of one offence under the Ontario Environmental Protection Act (EPA) and was fined $90,000 plus a victim fine surcharge of $22,500. The conviction stems from an incident that occurred on August 11, 2016 when the company reported an ammonia gas release to the Ontario Environment Ministry’s Spills Action Centre. It was subsequently determined that approximately 8.57 tonnes of liquid ammonia was released and contained, which resulted in a release of 997 kilograms of ammonia gas to the air over a two-hour period. The ammonia release resulted in various adverse effects including the closure of nearby roads for approximately one hour. 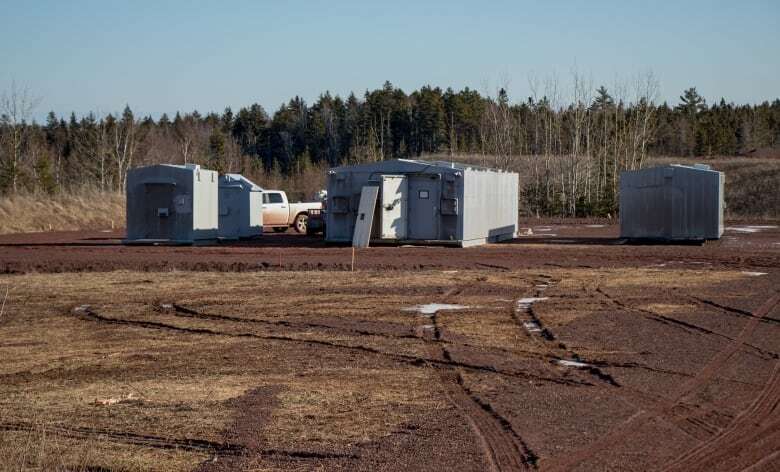 In addition, two reports were received alleging odours, with one of those alleging irritation; a third report alleged irritation, nausea and difficulty breathing; and employees at one neighbouring company reported evacuating for approximately two hours. Upon discovery of the ammonia gas release, personnel from Terra conducted a root cause analysis which concluded that a previously unknown mechanical deficiency in an ammonia pump resulted in the failure of a vent pipe containing liquid ammonia. Terra International (Canada) Inc. is a wholly owned subsidiary of CF Industries and operates a facility in St. Clair Township, Ontario (30 km south of Sarnia, Ontario) where it produces ammonia and urea products. To produces up to 1.0 million tons of nitrogen products for agricultural and industrial use each year. Approximately 200 people work at the facility. Future Markets Inc. recently published a research report on the Hazmat Labels Market. The report, entitled Global HAZMAT Labels Market: Overview – HAZMAT Labels, provides an overview of the market and predicts the growth of the industry. Regional analysis includes – North America, Latin America, Eastern Europe, Asia Pacific excluding Japan (APEJ), Middle East & Africa (MEA), and Japan. Hazmat labels must have excellent durability and cannot be impaired by other labels, markings & attachments. 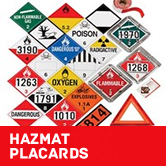 HAZMAT labels are categorized into nine classes for different purposes such as explosives, flammable gases, flammable liquids, inhalation hazards, organic peroxides etc. HAZMAT Labels for each class have a specific size & color. Most of the HAZMAT labels have contrasting background & a dotted line border. HAZMAT labels have text & symbols either in white or black. It is important to choose the correct HAZMAT labels for shipments, as labelling a material incorrectly can result in costly shipping delays, injuries & fines. HAZMAT labels must be printed or attached to any one side of product offered for transport. It is mandatory for HAZMAT labels to be attached alongside UN numbers. 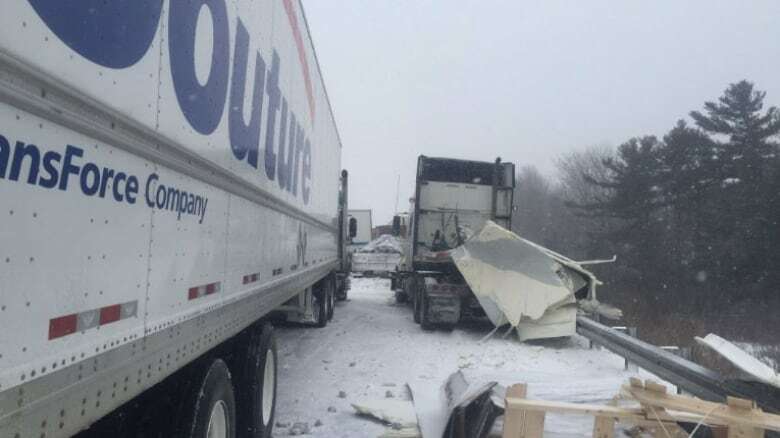 Transport Canada and the US Department of Transportation (DOT) has developed certain specifications for labels, markings and placards that must be prominently displayed on each package or container, including transport vehicles in order to safeguard health, safety, and property. The global market of HAZMAT labels is anticipated to grow rapidly during the forecast period, due to growing demand from chemical, pharmaceutical and various other end use industries. radio-frequency identification (RFID) is considered a new opportunity for growth of the HAZMAT labels market. On the basis of material, global HAZMAT labels market has been segmented as: Paper, Plastic ( Polyolefin, Vinyl, Others ). On the basis of product type, global HAZMAT labels market has been segmented as: DOT HAZMAT labels and U.S. EPA HAZMAT labels. On the basis of end use, global HAZMAT labels market has been segmented as: Pharmaceutical, Electrical & Electronics, Chemical and Petrochemicals, and Agriculture & Allied Industries. The global HAZMAT labels market has been segmented based on the region like North America, Latin America, Western Europe, Eastern Europe, MEA, APEJ, and Japan. Asia Pacific and MEA. U.S. has strong market in HAZMAT labels accounting for highest refineries & chemical producing nation in the world. The U.S. accounts for the largest share in HAZMAT labels market, owing to a large petrochemical industry. MEA region and other Asia Pacific countries such as China, India etc. are expected to witness moderate growth in the HAZMAT labels market, during the forecast period. Many local and unrecognized players are expected to contribute to the global HAZMAT labels market during forecast period. 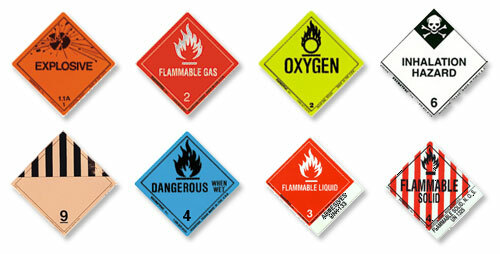 HSE Inc. has introduced HAZMAT labels with pictograms alert in order to describe presence of a hazardous chemical. 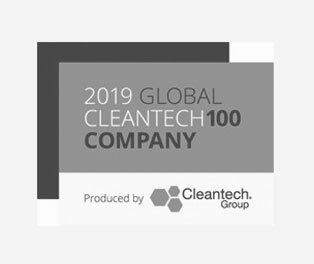 In February 2018, Labelmaster Services Inc. announced that it has been named the exclusive label manufacturer and distributor for CHEMTREC.